The Tullamore Tidy Towns Association held it’s AGM last week and Chairperson, Ray Carroll reported on another successful year building on the hard work of previous years and setting out future plans for the year ahead. Mr. Carroll thanked the members of our association who turned up for meetings, worknights, events and activities during the past year sometimes in not so pleasant weathers. 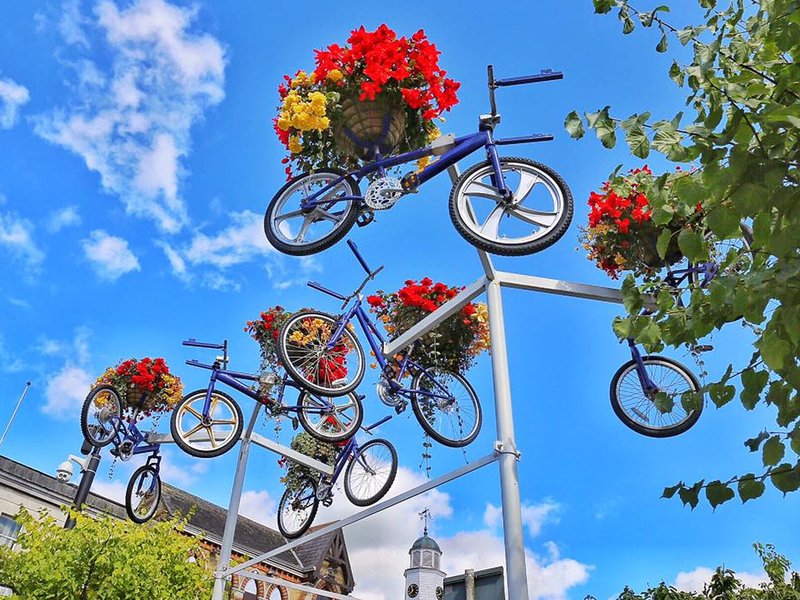 The volunteers enthusiasm and dedication was justifiably rewarded with another GOLD AWARD in the National Tidy Towns Competition last year – the 4th Gold in a row for Tullamore. Thanks was also expressed to the many residents’ groups throughout the town for their invaluable contribution to the way their estates are looked after and this again drew very favourable comment from the Tidy Towns judge in last year’s report. The Tullamore Tidy Towns Association is especially delighted with the support of the Credit Union through their Tidy Tullamore initiative over the years and the town has seen the positive results of this throughout the residential and retail & business areas of the town. Mr. Carroll acknowledged the help and support we got from members of Tullamore Chamber especially those involved in the hanging baskets project which has been an added attraction in the streetscape of the town in the past couple of years and also appreciated the ongoing help from a few members of Chamber who helped out on some litter pickups and weekly clean-ups. The group aims to encourage more participation of businesses in 2018 to ensure Tullamore improves its ranking in the National Tidy Towns Competition. Special thanks was paid to members of the Tullamore Canoe Club for the litter pick up they did on the Grand Canal and to Shannonside Subaqua Club for their clean up on the Tullamore river. The help and support of James O’Connor of Fit it Out was highlighted for his contribution to a number of significant projects he helped the Associations with during the year and most recently his help for the St Patricks Day Parade float. The hanging baskets and planters around town were watered by workers who came on board through a scheme overseen by Offaly Local Development Company and this invaluable support ensured the plants and hanging baskets throughout the town were maintained on a regular systematic basis and it is hoped to continue this initiative in the coming years. The ongoing support of Offaly County Council and the Municipal District of Tullamore was highlighted not only in terms of funding but also in their work programmes, their advice and encouragement through the Tidy Towns Network. Mr. Carroll also thanked Hugh Lynchs Bar and Sr Xavier for facilitating meetings throughout the year. Since last year’s AGM members carried out activities such as litter picks, landscaping, weeding, painting etc either as a group or individuals on about 40 occasions. Attendance at the SuperValu Tidy Towns National Awards in the Helix in September. Participation in the Tullamore St. Patricks Day Parade.